Blessings, Miracles, &Thoughts in Between: Pear Tree Greetings: Holiday Card Giveaway! It's that time of the year again! Time to start thumbing through your favorite pictures, browsing through countless designs, and hope you find the perfect Christmas card to send out! If you are anything like me (hello type-A planner), you are in full force Christmas card search mode! I started stalking the Pear Tree Greetings website almost two months ago waiting for the new 2011 Holiday card designs to magically appear! I was blown away as new designs were added. I really believe this set of designs is hands down the best offerings from PTG yet! Every year I search for a card that perfectly captures the past year of our lives. Last year, I went pretty casual with our card and showcased many pictures about our new life with Kate! It was so fun to show off so many different pictures of Kate and how much she had changed in her first four months! This year I am so torn on the best way to capture our year; how to share a piece of what 2011 has meant to our family. We have had such an emotional year filled with the joys of parenthood, the heartache of a life threatening disease, the agony of watching our baby girl fight for her life, and the miracle of a second chance - given to Kate by an anonymous donor. Thankfully Pear Tree has a beautiful card to fit each of my possibilities. I've spent hours some time using the new personalization tool so I could visualize exactly how each design would look with specific pictures and such. I loved designing the Christmas Charms card! One of our family photos from June fit beautifully in the center and I love that it is an "all in one" card making it very easy to address and mail! Personalizing the card was super easy too! Ultimately, I decided to go with more of a "story board" card that allowed me to share the journey our family has been on this year. Y'all will have to wait until December to see the card we selected - I don't want to spoil the fun for our friends and family who will receive the card in the mail!! Pear Tree Greetings is offering one of my readers a $30 gift certificate towards their Holiday card purchase! Mandatory Entry: Leave a comment on this post telling me which holiday card you would love to send out this year and why! You must include a valid email address so I can contact the winner! *Become a follower of We're Finally Three. Leave a comment on this post letting me know you follow us! *Become a Facebook fan of Pear Tree Greetings and let them know that We're Finally Three sent you their way by writing on their wall. Leave a comment letting me know you "like" PTG on FB! *Tweet the following about this giveaway: "I want to win a $30 holiday card gift certificate to Pear Tree Greetings! 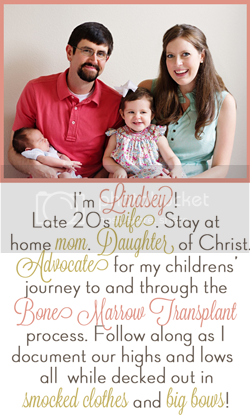 @PearTreeGrtngs @LindseyB34 #giveaway". You must tweet this exactly (including mentions and hashtags). Leave a comment on this post letting me know you tweeted about the giveaway! *Blog about the giveaway! Your blog post must include links to both Pear Tree Greetings and this giveaway on We're Finally Three. Leave a comment on this post letting me know you blogged about the giveaway! This giveaway will be open until Monday, October 31, 2011 at 5pm CST. I will select a winner Monday night and let y'all know who won by Tuesday! This post is sponsored by Pear Tree Greetings. Pear Tree Greetings has helped tens of thousands of customers celebrate life’s shareable moments with a collection of uniquely personal, high-quality greetings and stationery. 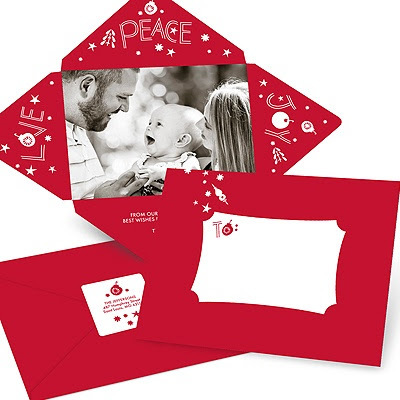 Pear Tree Greetings offers a full line of photo cards like Christmas cards, invitations, announcements, address labels, save-the-date cards and dozens of other high-quality paper products, so you can seize every opportunity to connect with others. Custom greetings made simple, affordable, and absolutely keep-worthy. I love the Photo Blocks and Stripes -- Trifold Holiday Card!! Love these cards!! Love the simplicity of "Trendy and Jolly." I really love the Simple Script Custom card! I love that it has the patterned backing and how it really displays the beauty of the chosen photo! I can't wait to see your final product! You have much, MUCH to celebrate this joyous season! I'm clearly a follower.. We love you guys! I love Pear Tree! My initial choice would be the Bright String of Lights, Vertical Photo Card. But you know I would have to re-scour the choices before purchase! Thanks for the awesome giveaway Momma B! I'm a facebook fan of PTG! And I let them know you sent me! I love the simplicity of the "Trendy and Jolly" card! Love all of their cards but the Simple Script is my favorite and perfect for our new family pic. Pear Tree Greeting fan on FB. Tweeted about the giveaway as well. Oh my - it's too hard to decide! I'd never heard of this website before but I LOVE it! I like the circular burst designs but I'd probably end up picking the trifold color blocks and stripes - that's super cute! Thanks for sharing this website!!! And I just liked their FB page! I follow you on here too! I absolutely love the snapshots one. We got married in June and I would love to include a few wedding pictures as well as some from our honeymoon. I've "liked" PTG on Facebook. I like the scalloped banner Christmas cards! I already "like" PTG on Facebook, but I did leave them a comment letting them know that you sent me! I tweeted about your awesome giveaway! It's so hard to pick just one, but I love the damask snowflake card! I am also a follower of yours. I follow you on We;re finally 3 also! I would love one of the Ornament cards. What a great idea and you can hang it on your tree. I would definitely pick the Swirling and Stylish -- Magnet Cards. I love the design and I love that the card is a magnet and can be used and cherished by my family all year long. I know everyone would love to get one! Impossible to decide! I love Bringing Joy to the World - All About You - and the one in this post....have to see what the christmas pictures look like when we take them. I follow you! Great cards that I've never even heard about until you've mentioned them. You have great taste, so I know this company is top notch! Great giveaway!! I love them all, but especially the "Delightful Photos" trifold. Item Number 11466FC. I like Pear Tree on FB! I love the "Whimsical snowflakes" card. So cute! I like the "Delightful Photo Holiday Postcards"
I love the cards "string of lights" and the "monogram photo card." Really I love too many to pick! Definitely the colorful string of lights card! I love how unique it is - not just a traditional Christmas card. Although I have to say I wish I knew about this site last year when I send out birth announcements/Christmas cards. I like Pear Tree Greetings on Facebook! I would choose the monogram photo card! So fun! I love monograms! I am a Facebook fan of Pear Tree Greetings! I blogged about your fabulous giveaway !!! I like the "Christmas Tales-Horizontal Recycled Photo Christmas Card"
I love the "photobooth memories" card. Lots of photos from the year and room enought for a brief card synopsis. "Liked" Pear Tree Greetings on FB! I love the "Have Yourself a Very Chic Christmas" round photocard. The shape is unique and the colors on the back are so vibrant... It will be fun to pick out a color coordinating outfit for our little girl! I just liked the facbeook page! Between the swanky trees or the christmas lights. I may do both and send randomly!! I also liked them on fb and told them you sent me!! Thanks for leading me to such adorable cards! I can never pick just one picture so something with a photo strip will work for us! I like the holiday blocks and stripes the best, although the ornament cards are gorgeous, too! I love the Christmas in Plaid- so cute! Liked Pear tree greetings on FB. Left a comment on the wall.